When starting the process of periodization for the year ahead, one of the most important considerations for your swimming team will be setting new goals. Knowing precisely what you want to achieve in the future can help your coach decide what kinds of training activity are needed for every micro-, meso- and macro-cycle. Of course, periodization for your swimming team should not lead to a “one-size-fits-all” model. Every swimmer is different. Everyone swims at different speeds. Providing that the training schedule is adaptable enough to meet individual needs, however, everyone can be a winner. All it takes is for the coach to follow an evidence-based approach with an open mind. You will certainly find that a swimmer’s weaknesses will be apparent during one or more of these stages. The swimmer may start fast but then immediately slow down before the first 25 meters has been completed, thereby losing the top of the race. Conversely, the swimmer may reduce the gap between them and the top competitors, but a slow start has made it impossible to overtake them. Another scenario may be that the swimmer is faster than the others for the first 75 metres, but then the speed reduces, which denies them a place on the winners’ podium. If all this reminds you of John, Marianne, Tamilla, Fabio or Zdjan, maybe this article will be useful. The start of a race is the first potential problem for the swimmer. Reaction time, speed, distance from the block and angle entry are factors that can make all the difference to whether the swimmer begins the race with a competitive edge. What is the energy requirement? There can be no energy production at the start; rather, the swimmer must use the energy that is already stored and readily available. As such, the swimmer will need to use 100% of the Adenosine Triphosphate (ATP) energy that is stored in the muscles. Until the swimmer lands in the water, the combined effect of the energy generated by anaerobic systems is minimal. The stored ATP is the major component that permits one jump, maximal and explosive, with less than half a second of effort. If the swimmer cannot use 100% of the stored ATP (because their reserves are low or empty), this leads to a delay in the reaction and reduces capacity to generate the maximum power needed to start off at the right speed, angle, and distance. This is a common scenario that explains why many athletes generally have a terrible start to a race. If the swimmer cannot generate the necessary energy at “time zero”, their start will be slower than that of their competitors. In cases like this, the neuromuscular response will need to provide the major source of the energy, which will be lower than that provided by stored ATP and will deliver less impact. 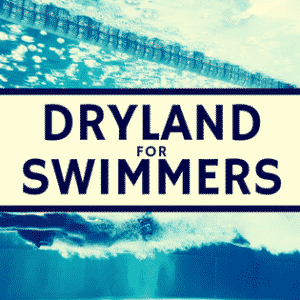 Without the right supply of stored ATP, the obvious drawback is that the swimmer will have a slow start and will travel a shorter distance after entering the water, which will be at a lower angle and velocity than the other competitors. What are the main problems that need to be addressed? The swimmer needs to have more energy stored in the muscles and an higher neuromuscular activation. The swimmer needs to use all the muscular fibres at the same time, without delay. The swimmer needs more strength in the leg muscles. This stage is a potential problem for any athletes who want to deliver a high level of performance without allowing their competitors any chance of an easy victory. The significance of this stage is typically underestimated, but it concerns more than 30% of the entire race in a 100-meter contest. After the swimmer’s reserve of stored ATP has fully depleted, they will then make use of the phosphagens produced by the Anaerobic Alactacid System (AAS) in the first underwater stage. During the second underwater stage, the Anaerobic Lactacid System (ALS) will supply the energy needs instead of the AAS. The swimmer is unable to maximize the benefit of impacting the pool wall and has limited scope underwater. Another scenario is that the swimmer fails to make best use of the first 15 meters as a result of entering the water with a delay, in comparison with the other competitors. In such cases, the energy requirement is double and the swimmer needs to use both of the aforementioned systems. The swimmer does not push away fast enough from the block. The swimmer does not make optimal use of the underwater phase. The swimmer is compelled to “catch their breath” immediately. The swimmer needs more efficiency in terms of neuromuscular activity and plyometrics. The swimmers need more efficiency in their respiratory muscles. This part of the swimming race is the key to success. 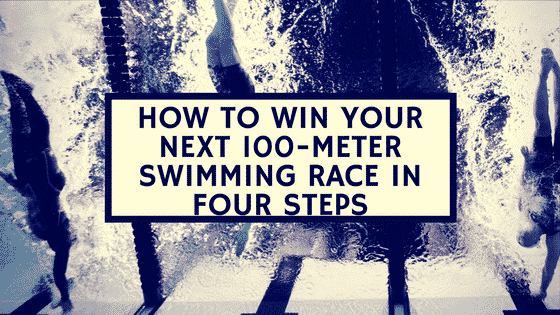 The swimmer who dominates in the first 50 meters has the best chance of winning the race. 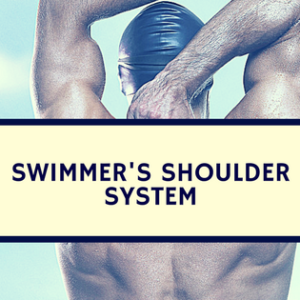 This is because the swimmer is not only in the strongest position, but they also enjoy the advantage of having a complete view of the swimmers coming up behind when they turn around. The swimmer needs to use 100% of the energy from the AAS before exploiting the maximum value of energy provided by the lactates that are generated by the ALS. If the previous energy systems did not give the swimmer the maximum possible level of energy, they will not be able to make the turn in the first place, because their speed will inevitably be too low. As a result, the other competitors will likely have the advantage. Given that the swimmer cannot produce enough energy after the first 15 seconds of the swimming race, their speed will diminish accordingly in the second part of the first 50 meters, but then maintain the right speed for the rest of the swimming race. In the scenario where the AAS provides the total supply of energy, this will help the swimmer to maintain the right speed, but only after the first 15 to 20 meters. Where the energy is entirely supplied by the ALS and the Aerobic Energy, a high rate of energy production will be limited. The swimmer experiences a slow turn and a poor underwater phase. The swimmer’s stroke rate significant diminishes in the second part of the race. The swimmer has an average level of lactate towards the end of the race. The athlete needs more energy coming from the ALS. The athlete needs more efficiency in the neuromuscular activity. The athlete needs more adaptation in the ALS. The athlete needs more adaptation in the lactate “clearance”. During a 100-meter race, there is commonly a gap between some swimmers in the final 25 meters, whose speed is decreasing at a much higher rate than their competitors. This problem is difficult to solve as the occupants of the podium places have already been decided by that point. The swimmer is unable to use 100% of their aerobic system (Vo2max), while energy levels have significantly dropped due to the depletion of glycogen in the ALS, together with a strong increase of lactate in the muscles. It is very common for swimmers to experience this scenario in the last 15 meters of the swimming race. The swimmer is unable to produce enough energy at the necessary speed towards the end of the race. This is because of the significant presence of lactate, which creates a high acid environment in the muscles. Furthermore, the pyruvate that is generated is not immediately used by the AE, because the Krebs Cycle is not capable of converting pyruvate at a sufficiently high speed. The swimmer’s stroke rate significantly diminishes, while poor technique creeps into the final part of the race. The swimmer is not able to control their muscles. The swimmer perceives their heart rate to be higher (almost 10 on the Rated Perceived Exertion scale). The swimmer is unable to proceed (occurrence of the “wall situation”). The swimmer needs to derive more energy from the AE. 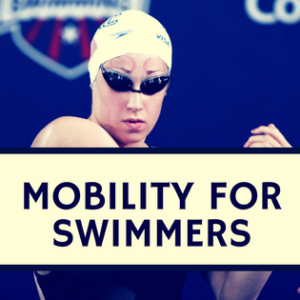 The swimmer needs more efficiency in terms of neuromuscular activity. The swimmer needs a more adaptable ALS. The swimmer needs a more adaptable method of lactate “clearance”. The swimmer needs more efficiency in the Krebs Cycle in order to create energy at a higher speed. By discussing common scenarios, we hope that these four steps to success will show you how to use the evidence-based approach in order to solve some of the problems facing competitive swimmers. With an open mind, every single problem they face can be analysed, discussed and solved by thinking about training in a scientific way. Of course, other aspects also need to be considered, such as nutrition, biomechanics and the psychological make-up of the swimmers. In conclusion, then, it should be said that the “belief-based” approach should never compete with the evidence-based one, especially when we train elite athletes, because the choices they make need to be scientifically robust. Sport Science Phd, Head of Sport Science Lab (UK). Was director for 4yrs on a branch of the Italian Olympic Comitteee for a Scientific Project where conducted more than 100 researchers with high-level athletes. Has more than 50 researchers published. Sure thing, complete the work with me page and we can figure out how to work together in the future. Keep up the good work.